Search engines take into consideration a large number of factors when assigning a rank to a website. Although there are a number of factors that are obvious or specifically identified as ranking factors, the majority of the ranking criteria are kept private. Search engines avoid publicizing the exact pieces of the Search Engine Optimization puzzle that they use to determine a rank because it would most likely lead to a massive overflow of irrelevant search results. Search Engines recognize that if all the sites on the Internet knew the characteristics that they use, then every site would be able to rank higher. Providing this information would make it too easy for website and go against their main goal which is to provide users with the most relevant and useful search results. Clearly expressing the measurements that are used to rank a website would prevent a relevant site from standing out amongst the other results and could potentially place a higher rank on a page that is worst or is less relevant to a user. 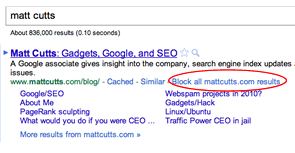 Keyword in the pages Title Tag. Appropriate and descriptive anchor text of Inbound Links. Global Link Popularity of Site. Link Popularity or equity within the internal link Structure. 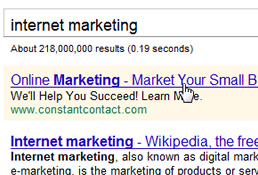 Relevance of an inbound link to the site and the text surrounding that link. Keyword use throughout the body copy. The popularity or authority of the website providing an inbound link. Simple Changes That Produce a Faster Website and Boost Rankings! 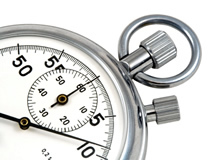 The time that it takes for a website to load is commonly referred to as site speed. Site speed is measured from the moment a link is accessed or after a URL is entered into the browser search. Depending on the type of website or how heavy its content is, a site’s speed is typically between 2-5 seconds. At any rate below 2 seconds a website’s speed is thought to be excellent. A speed between 2-5 seconds might not be the fastest, however it is perfectly acceptable. Anything taking 5 seconds to load can annoy or turn away visitors and be less popular with search engines. A site’s speed is only one of the many factors that search engines utilize in their website ranking algorithm. Search engines employ ranking algorithms in order to assign a page rank to a website and to ensure that a search returns with the best and most relevant results. The following are options that site owners can apply to their sites in order to reduce the time it takes for their website to load. Reducing a sites load time or increasing a sites speed will generate better customer responses as well as appeal more to search ranking algorithms. Before attempting the following suggestions you should try out these free tools to see how your site measures up. Pingdom Load Time Test is an easy tool that allows you to assess the speed or your website. The program GTmtrix analyzes site speed, provides a grade for your website and generates a list of potential problems that they recommend that you fix. These are just two of the many free tools available to measure the performance of your website. Upon completion of these tests, if you are unsatisfied with your websites performance we recommend implementing the following changes. Advertising in any form has the goal to attract more customers and more revenue. Like advertising on television or in print ads, the world of online advertising shares the same purpose. Basically online advertising sets out to attract customers by using the Internet, with websites and search engines as their medium. The Pay per Click (PPC) advertising model is where a host is compensated each time the promoter’s advertisement is clicked. The Cost per Click (CPC) is the actual amount that is paid out by the advertiser to either the search engine or website owner for each click that occurs. Websites that utilize this type of advertising will often present an advertisement or text link, when there is a common term between the websites keyword query and the advertiser’s keyword list. In other words, when a website has related information to the advertiser, a link will be displayed either on the side or above or in line with the website’s original content depending on the website. There are a couple different variations of pay per click online advertising which include Cost per Mille (CPM ), Cost per Visitor (CPV), Cost per Lead (CPL), Cost per Click (CPC), and Cost per Action (CPA). How to Measure the Value of A Link! If you are familiar with the inner workings of a Search Engine then you probably know that search engines calculate the standing of your website using a number of different factors. 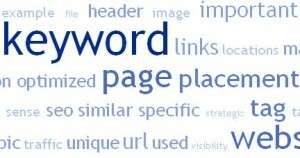 Link value analysis is among these factors, which is derived from the quantity and reputation of the other web pages that link to your website. In addition to examining the popularity of connected pages, search engines analyze a website’s primary characteristics such as trustworthiness, spam level (is your website useful), and perceptible authority (legitimacy). In order to grow the popularity of your website, generate awareness, and increase traffic from search engines it is important to perform link building and analysis. So how do you know the value of a link? Although search engines keep the majority of their ranking factors private, some of the clearer and more notable factors include the following. Global Reach: If you want to have a link from a website to your website (a backlink), does that website have quality backlinks to other quality websites, in other words does that website have importance, reach, and scope. Nothing is more impressive than having a well know and hard hitting website in your corner! Community Merit: Equally important to websites with global reach are topic specific links that hold merit and commonality to the website on a topic level. Web sites that are in the same business or cover similar topics and industries can provide a stable ranking foundation. In our private lives, we all have our daily online routines. We check and send email, visit our favorite sites, read a few articles, and countless others. Why should our Online Business Activity be any different? If you own a business there are certain basic recommendations for daily online activity that could help generate more clients. The Internet is a powerful resource for any business and neglecting to utilize all that it offers is silly. Every business can be conducting some kind of daily activity online. Not sure how to fully utilize the Internet for your business? The following are minimal suggestions for your company’s daily Internet practices. Submit some postings to multiple sites and gain a following in the online community. Use this online activity to share some knowledge and build a reputation for your business. By improving the brand of your business on Facebook, you’re able to market your company and have the opportunity to acquire profitable insights from others. It’s free, except for your time, so take advantage of the free advertising that websites like Facebook and Twitter offer. In addition using these social networking sites gives you another medium to allow you to be more accessible to your customers and gain valuable feedback. See more information about how Twitter Can Benefit Your Business. Establishing a blog for your business is a great way to branch out and grow your web presence. 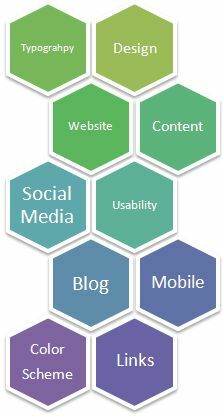 A blog is another way to obtain customer interaction as well as communicating important messages to your clients. Additionally, mention your blog articles on Social Media websites like Twitter and Facebook and have more potential clients visit your website. For more on how blogs can help a business check out Having a Blog Helps! Hey, Josh here from the Internet Beacon. We are a Search Engine Optimization (SEO) firm located in Reisterstown, Maryland. What we do, SEO, is a subcategory of Internet Marketing. Similar to traditional advertising, SEO is all about getting your Brand out there. In this case, we´re working to get your website in front of customers through search engines like Google, Yahoo, and Bing. For more quick, useful information, check out our SEO Answers page, our SEO Glossary, and our blog posts on SEO. Building a quality website is no easy task. Certainly there is software to assist the uninitiated in building a home on the Web (like Adobe Dreamweaver), but making sure that the site has value is something entirely different. The temptation exists to make your website big and flashy. However, the site’s quality often suffers as a result. Here are a few things to look out for. The language you use on your site says a lot about you. This is not limited to only slang, but the tone in which it is written as well as things like grammar and punctuation. 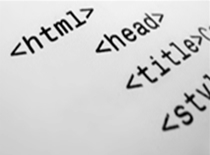 Your website is the way the world will see you. Will they see someone who takes the time to make sure what they have makes sense or will they see someone who hurries to get things posted by sacrificing quality. Traffic is important, but repeat clients are what you want. Make sure that the language you use is tailored to your prospective clients. Images can be a great way to spruce up your site. As the saying goes, “a picture is worth a thousand words.” You can save time and website space by using a picture appropriately. Conversely, if you use too many pictures on your site, it becomes cluttered with a lot of visual noise. Visitors will become frustrated and the loadtimes, even on a highspeed connection, could become unbearable. We’ve all seen pages that jump around a lot because of too many images fighting for their place.